In order to provide berthing for larger vessels, which is the growing global trend in the containership sector, Lekki Port will be equipped with the best infrastructure and terminalling services to attract and maintain large volume shipping line customers. Facilities at the port will include well-designed marine infrastructure, container, dry bulk and liquid terminals, making it a truly multi-purpose port. Vessels will approach Lekki Port through a 9 km long and 19 m deep navigation channel reaching the 600 m wide turning basin. 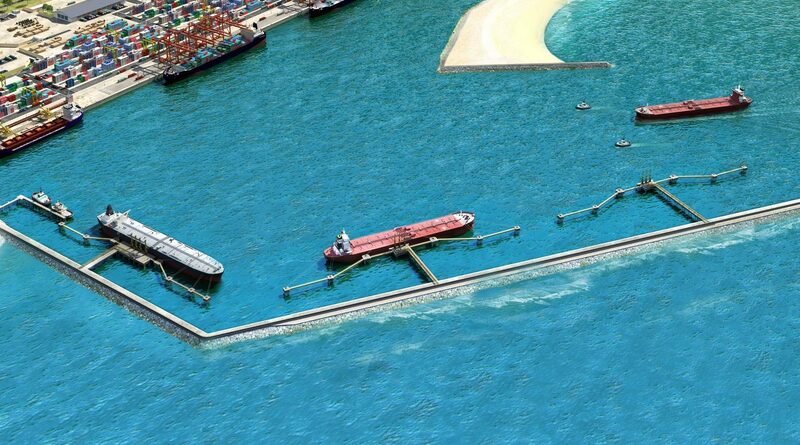 The port is protected against the ocean waves and currents by a main breakwater of 1.500 m long and a secondary breakwater of 300 m, providing a controlled environment for the handling of vessels alongside the 1.500 m quay at a waterdepth of 16.5 m, and 3 liquid jetties with 19m water depth. For safe and secure handling of shipping, berthing facilities for marine services (tugboats, pilots boats) are provided as well. 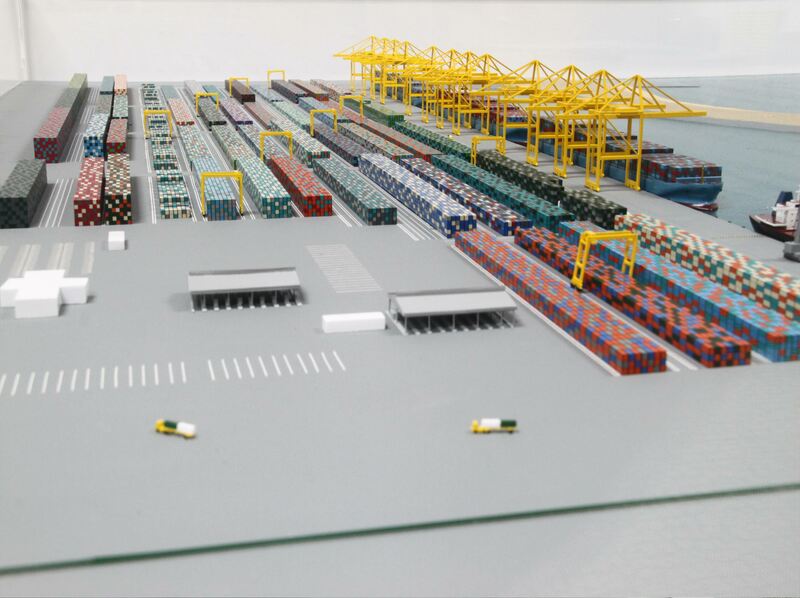 Container Terminal will have a 1,200m long quay, 3 container berths and a storage yard with over 15,000 ground slots. The general arrangement of the container storage and handling area shall consist of a stacked container arrangement. The terminal is designed to support a throughput of 2.7 million TEUs annually. Located on the western side of the container berths, the dry bulk terminal will be situated close to the turning circle. Available quay length of about 300m will be sufficient to accommodate one berth for a Panamax size vessel (75,000 DWT). The products to be handled as cargo will range from dry to hygroscopic products such as grains, raw sugar and fertilisers. The movement of the bulk cargo to the storage areas like silos and warehouses will be handled by covered conveyor systems, along a corridor of about 25 m. The facility is intended to handle around 4 million mt of dry bulk per year. 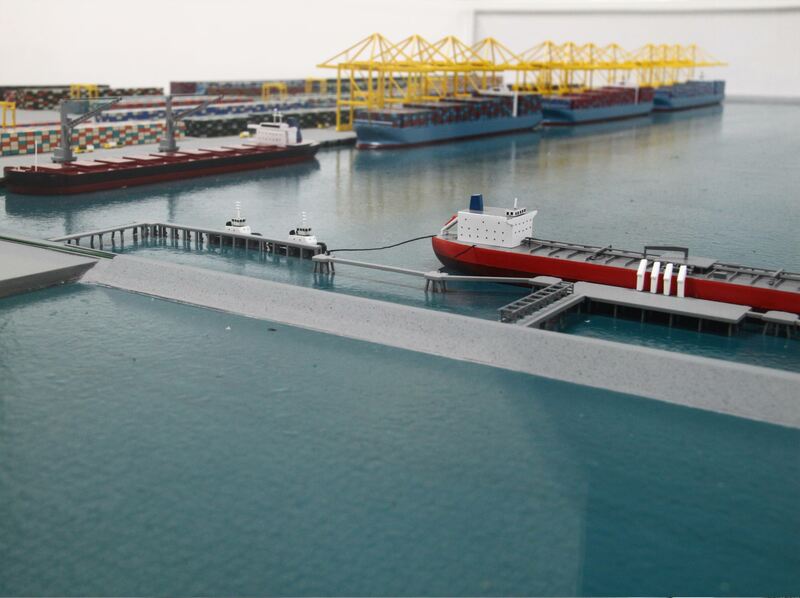 The Liquid Berth planned for Lekki Deep Sea Port will be capable of servicing vessels up to the size of 45,000 DWT initially, with design flexibility for expansions, catering to an increase to a capacity of 160,000 DWT. Liquids like finished products (petrol, diesel) could be handled with storage in tank farm also located in the Lagos Free Trade Zone close to the port site. The berth will be equipped with loading arms and connected by pipelines running along the breakwater to carry cargoes between the tank farm and the vessels. Container Terminal will have a 1,200m long quay, 3 container berths and a storage yard with over 15,000 ground slots. The general arrangement of the container storage and handling area shall consist of a stacked container arrangement. The terminal is designed to support a throughput of 2.5 million TEUs annually.